Here is another iPhone photo from my first trip in to fly fish the Yampa River near Steamboat Springs, Colorado this past October. This section of the Yampa is the tailwaters coming out of Stagecoach Reservoir. Beautiful this time of the year with quiet, clear water flows with lots of LARGE Rainbow trout just sipping dry flies. I caught one Rainbow that morning and “missed” several others in the few hours I spent on the river. This river is my new favorite river in Colorado. 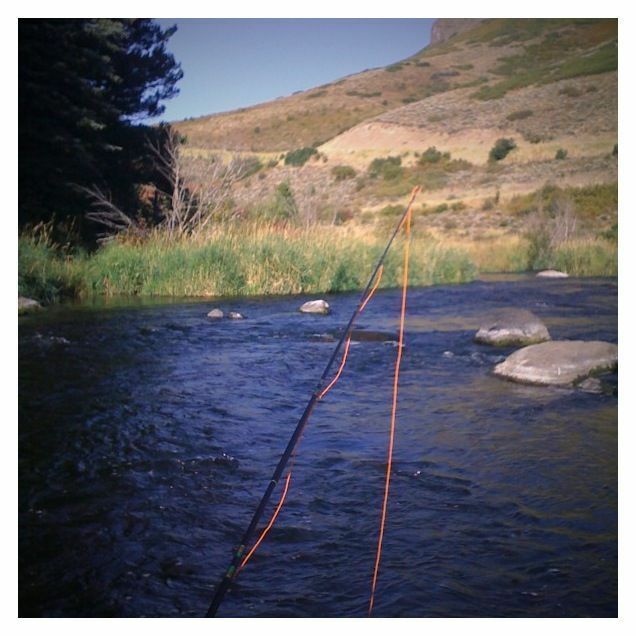 Posted in Landscapes and tagged fall, fishing, fly fishing, Rainbow trout, yampa river by greggl with no comments yet. This image was taken on a trip out to Santa Barbara about a month ago now–part of my San Francisco, Redwoods and the Golden Gate Bridge trip I posted recently. 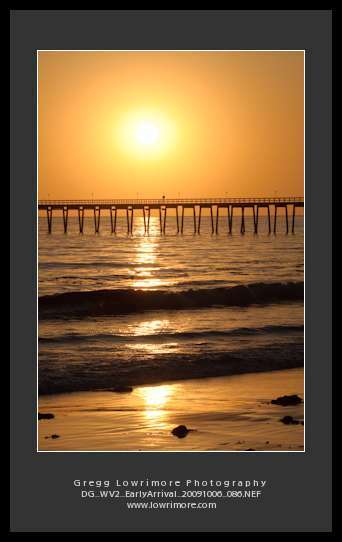 Posted in Landscapes and tagged beach, ocean, pier, santa barbara, summer, sunsets by greggl with 2 comments. 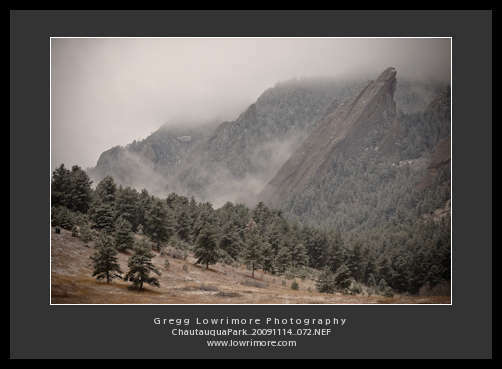 Here are a couple images from Chautauqua Park yesterday just prior to a portrait shoot. The pending storm was starting to build after an overnight dusting prepped the ground. 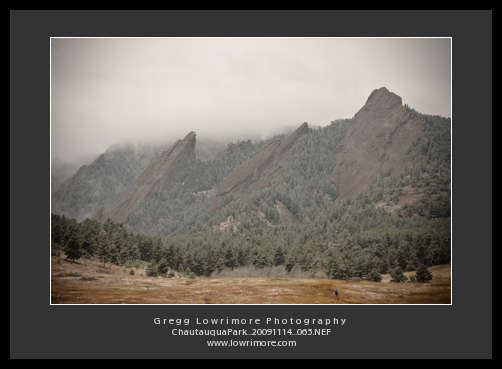 A couple treks off on an early morning hike along the base of the Flatirons. 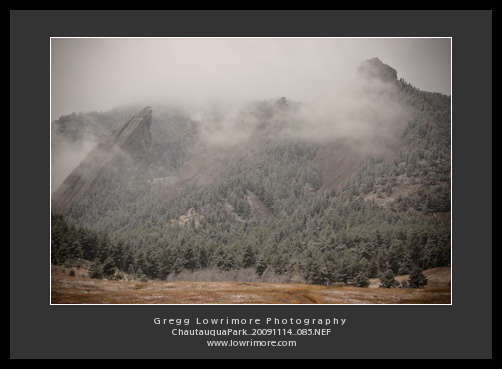 Posted in Landscapes and tagged chautauqua park, clouds, flatirons, hiking, pending storm, snow, winter by greggl with no comments yet.